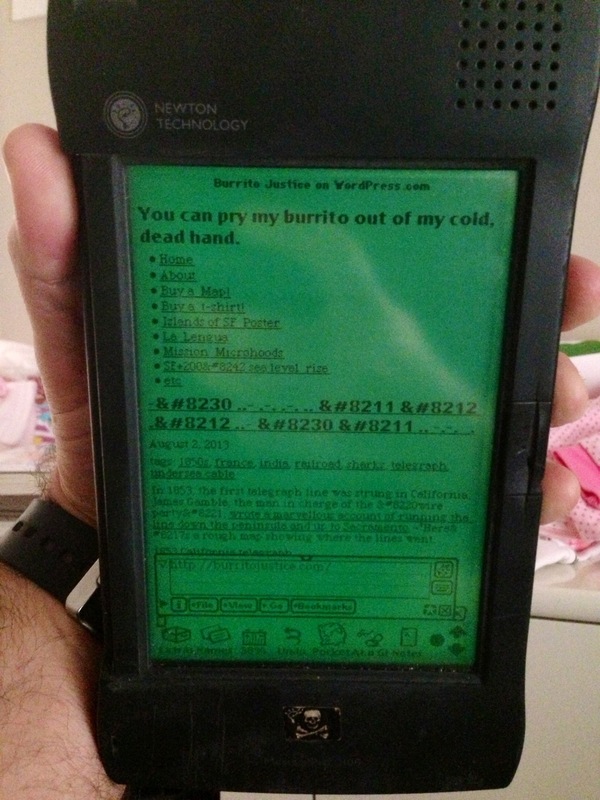 The 20th anniversary of the Newton inspired me to pull out and dust off my old MessagePad 2100. 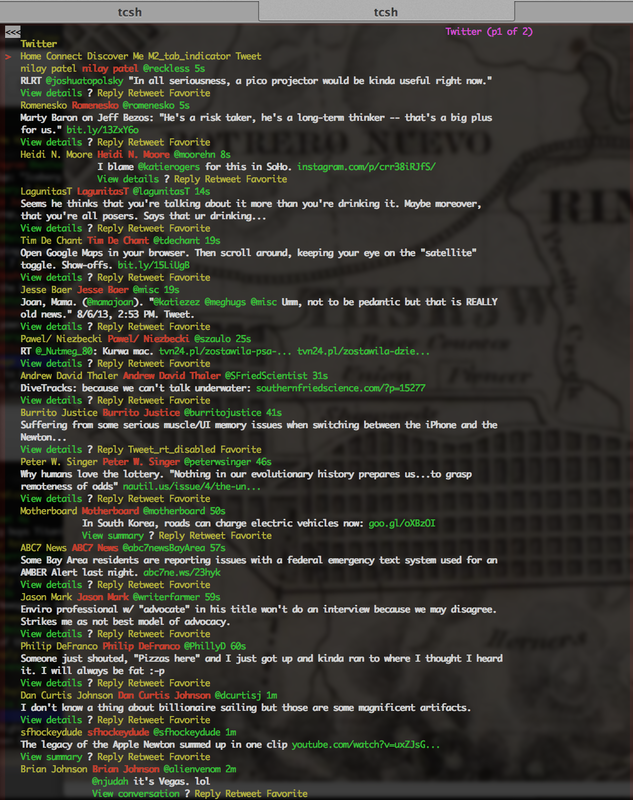 I naturally tried to tweet from it. This proved problematic thanks to https and oAuth — there was no way to get to mobile.twitter.com or authenticate with text-based sites like kindletwit.com. 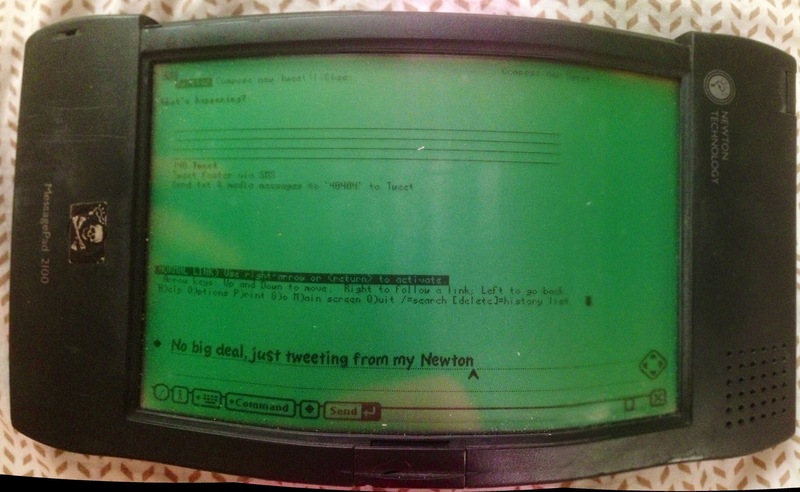 No big deal, just tweeting from my Newton. 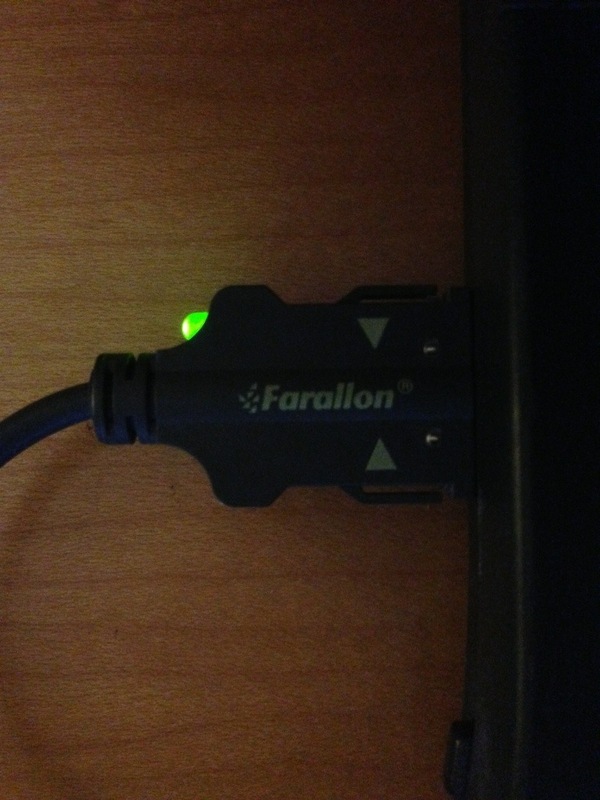 Also, I miss Farallon Networks. I tried to get the Newton to load my Burrito Railgun launch GIF, but it only has 4MB of onboard memory and the GIF is 5MB so that’s not happening. Better luck with the BRG GIF schematic. ← -… ..- .-. .-. .. – — .— ..- … – .. -.-. .